I’ve been asked a lot recently to comment on the NDP Alberta goverment’s omnibus Bill 6 which is the Enhanced Protection for Farm and Ranch Workers Act. I’ve had mixed feelings about publicly displaying my opinions on the bill, because I have a general rule about not discussing politics on my platforms — it just brings too much controversy and hate, which I don’t need in my life. If you browse the #bill6 hashtag on Twitter, you’ll get an exact taste of why I’ve been hesitant to share my thoughts. Not only that, but there really isn’t a lot of black and white information on Bill 6 and exactly how it will affect family farms like ours, and I do not like to publicly form opinions until I have as much information and facts as possible. However, I figured it would be safe to share my thoughts on how I foresee this bill potentially affecting our family farm. 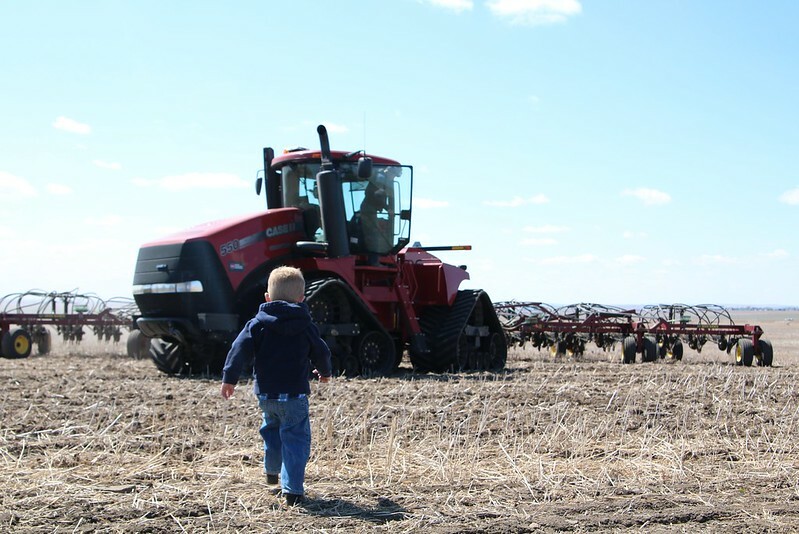 Is There Enough Farm Safety Enforced on Alberta Farms? If we truly want to improve farm safety, improved education is the most effective path forward, more awareness, better training materials, and recognition of the unique aspects of differing agriculture sectors. It seems this is not a message the NDP government is willing to hear. Unless something changes, perhaps the most transformational rural legislation in a generation will come into force just 45 days after first being made public, and impact over 40,000 farms across the province. 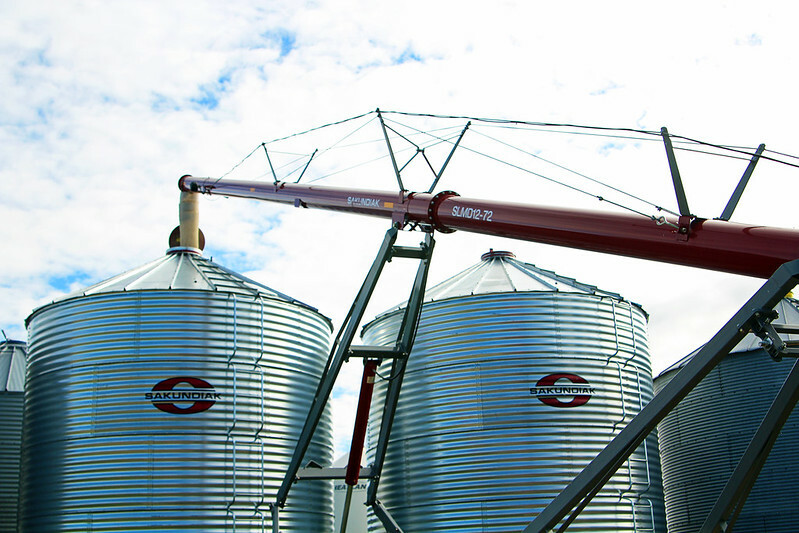 On our farm we have done things to enhance safety such as high ladders on our grain bins and augers with movers on them so our farmers don’t have to push them on ice and potentially fall, which can be very dangerous. We do our very best to instill the rules to the kids of not going on or in any machinery without supervision and not leaving the farmhouse yard and exploring the farmyard without permission. Even though we have these rules and reiterate them over and over to the kids, rules have the potential to be broken unless they are all supervised 100% of the time, which as parents (of any child!) I think we can all attest, is virtually impossible. I want to give our kids the opportunities to learn responsibility on their own and how to critically think and make good decisions. I certainly don’t abandon the children during our busiest and most dangerous times on the farm to let them explore and learn on their own. I know them best and exercise my judgment on how much I can trust them at their ages. Why is this any different, to our government, than the potential dangers urban children face being raised in busy cities with all the hazards there? A family farm is a lifestyle, it’s not just a career or a job or a work site. I’ve been a Registered Nurse for 10.5 years and I’m very familiar with our labour laws and how our union works to ensure these laws are fair and just for nurses. Applying the same (or similar) regulations, for example, that a nurse adheres to compared to a farmer, is laughable. According to Lori Sigurdson, Minister of Jobs, Skills, Training and Labour, there will be exemptions to acknowledge the uniqueness of the farming and ranching sector, but those are not accurately documented as part of the bill at the moment, so emotions are (rightfully so) running high. I truly hope the last sentence, emphasis mine, rings true. I have heard that this isn’t the case, that when the government has met with producer groups and commissions, it is more telling vs. consulting, so I hope this isn’t true. During the busy times on our grain farm for seeding the crops in the spring and then harvesting those crops in the fall…one cannot limit those to 8 hour days, 40 days a week and expect a farm (using our farm as my example) to afford to pay overtime hours for all employees working an excess of 40 hours per week. I’d say on average my husband works 15 hour days (at least) 6 days a week during harvest which equates to 90 hours per week. However, there are many perks of being a grain farmer on our family farm that make up for those “overtime” hours during our busy seasons; he doesn’t work these hours all the time and if he felt it was unjust and against his rights, he wouldn’t work on the farm. This is something an urban NDP politician simply, and rightfully so, cannot comprehend — but then I feel it is their civic duty to reach out and talk to farmers and ranchers to understand how agriculture is unlike any other industry before such significant legislation is passed. No More “Helping Thy Neighbour”? There really is so much grey area when it comes to how family farming and ranching events like branding, harvest and cattle drives will go; all we want is answers. How Will Our Kids Fall in Love With Farming? We are raising the 5th generation on our family farm and involving our children in most aspects of farm life is very important to us. It would break my heart if legislation prevented family combine rides every fall during harvest time. If the boys couldn’t ride along to plow snow with their daddy in the tractor to clear out the farmyard. 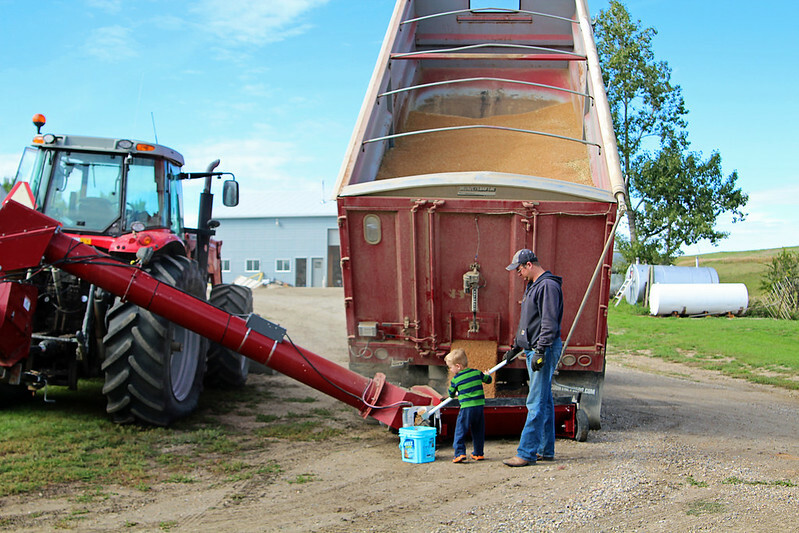 If my husband couldn’t teach our children how we raise food for the world from every aspect of production; such as showing our 3 year old son how wheat is harvested with a combine, emptied into a truck and then augered into a grain bin for storage until it is time to haul it to the elevator. If not exposed to farm life, how are they supposed to foster a passion for agriculture? We want all of the children in our family to be safe, but if they are not allowed to work on the farm and be exposed to work on the farm until they are 12, 16, 18 — or whatever the determinate age may be — they are going to miss out on years and years learning life skills on the farm. Trying to learn everything you need to learn to start working on the family farm is potentially more dangerous at a later age, in my opinion. How many kids are going to want to suddenly start farming as a teenager, potentially never having been exposed to it as a kid? Not likely very many, we have the possibility of losing our farm kids to jobs and life in the city and the, worst case scenario, death of the family farm. Quite frankly I’m lost trying to decipher the language used in the PDF file of Bill 6 that’s available to us. We are at the mercy of an NDP government that virtually no farmers or ranchers voted for, that have shown through theses proceedings of Bill 6 that they know little to nothing about the agriculture industry and the uniqueness of life on the family farm. Some non-farming folks are calling farmers whiners, not having a grasp on how this bill will affect our entire life, not just our “work” life. I wish more money and energy was put into wonderful programs like Ag for Life to get more rural and farm safety programs available to us, instead of the potential damage Bill 6 could cause family farms. I have outlined here some of the worst case scenarios for our farm that I’ve been able to think of if Bill 6 passes and the agriculture industry is not involved and consulted with. There is a lot of assumptions, hearsay and fear-spreading going on right now with so many questions up in the air, I hope we get a much more concise layout of how Bill 6 will affect our farm before and if it is passed. I have a major concern about the opposition to Bill 6. The Wild Rose party have sided with the opposition to the bill. If they form the next government, will they be then claiming that minimum wage legislation, occupational health a safety legislation, and the right to organize within a union are not "right" for others? This prospect worries me. There are problems with the new course in farm employment law, but I think that it represents a vast improvement over what it replaces-chaos. Great job Sarah! I really wish non-farmers would listen before speaking! (On all topics we discuss). My heart goes out to Albertams right now! Sarah, I love your comments & concerns. I feel the same way as you. I don't think city people realize that it take a lifetime to learn the things we need to know out here. Safety is the first concern. Kids working with Dad & Mom, learn it from day one. Next after Safety comes Cooperation, Work ethic, Stewardship, Fairness, Stick-to-it-iveness, etc etc. These things can take a long time to learn & need to be taught while the child is very young. Take this chance away from kids & society is not being dealt any favors! You said that perfectly, and it's exactly how I feel. Thanks, David. Hi Sarah, can you expand on your concerns because I've been closely monitoring the events and how they've unfolded and I'm still unclear. Is it cost and inconvenience of paying WCB premiums? Is it because OHS will now have access, jurisdiction and due process to investigate accidents? Is it compliance with minimum employment standards? Or is it all of the above? I still can't see your argument compared to any small family business be it urban or rural. For example, my accountant runs his business as a family. Both he and his wife are the accountants and their family assists and they employ one staff administrator. They have busy seasons just as farmers do, long days just as farmers do, albeit, not through out the entire year. My point is, they must abide by all current legislation so why no a small rural business. Besides, you must have just seen yesterdays coroner's report on 2013-14 accidents on farms. Is that not enough to compel you to see the reasoning? Good luck with your movement but be prepared for the inevitable. This legislation has been in discussion and process for many years. So many say that this is "Rachel" or "NDP." This was actually an Alison Redford campaign promise. Dr David Swann, Liberal MLA, has been pushing for this legislation for many years. There are several agricultural groups that have been involved in the last few years, in gathering information, and discussions. A CBC report that came out 2 weeks ago, stated that less than 5% of Alberta farms carry sufficient insurance for their employees. The present government has made one significant mistake – they were not transparent in presenting the steps of what it will take to actually put this in place, and they were not transparent in all the work that has been done so far. Then several media sources completely misrepresented the bill and caused panic. The government have stated over and over that the technical aspects are not being approved or put into effect until after consultation with farmers. That is a good thing. I was born and raised on a farm. My family also owned an agricultural machinery dealership. My family still farms. I have worked in the financial industry, and medical industry. Some of the most horrible things I saw in both of those were farmers who lost their lives, or were seriously injured on the farm, and their families were left scrambling to try to save their farm because they didn't carry insurance, or not enough insurance, or the right insurance. There are lots of questions. But yelling doesn't get answers. Asking insightful questions, and posing possible answers. I get discouraged when I see the "but it is a family farm, so we should have special consideration. I get it – that raising a family on a farm has some special considerations needed. But, for some, that is a slap in the face. What about that small town father and son garage, whose busy season matched that of the farmers? That is a family operation as well, but they have to follow all the WCB and OHS guidelines. What about the small town family restaurant or bakery, where the kids work after school and on weekends, and again, whose busy season not only matches farm seasons, but also community events like weddings and hockey tournaments? They have to follow all the WCB and OHS guidelines. 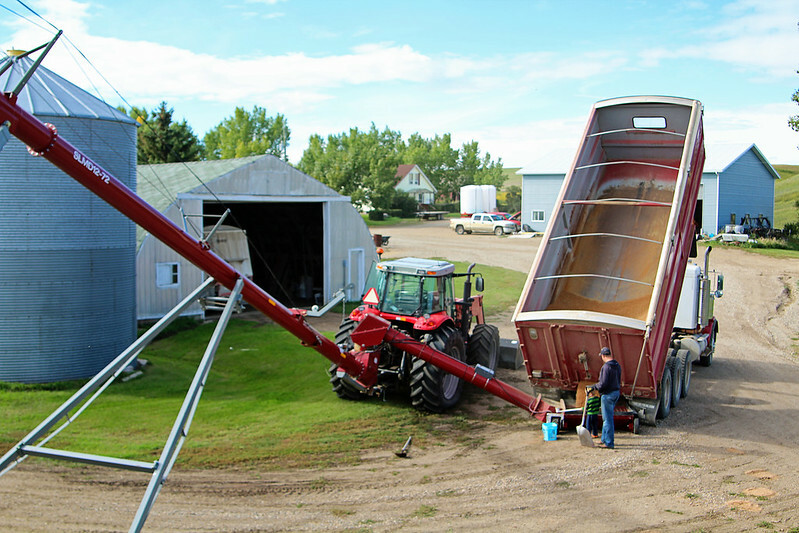 For those who have commented along the lines of "but farmers feed the world" or "don't bite the hand that feeds you," there are small town businesses that work hard to make sure you are successful, and they have to follow the current regulations. Please don't forget their contribution to your family farm. I know this isn't a brand new concept, but it is our NDP government that has brought this bill to the table, thus it is their responsibility, in my opinion, to be transparent about what will be in the bill before it is passed (as you have acknowledged as well). I hope I don't come across as "yelling" because I agree, yelling and fear-mongering from emotional farmers is not getting the discussion anywhere, it's why I was hesitant to share my thoughts at all and why I have not signed an online petition. When I say "but it is a family operation" I more so have our children in mind. Under current proposed regulations it's up in the air (and seemingly learning towards the "no" side) that our kids will be able to be involved in certain areas on the farm that they currently are. Of course we want safety and the option to buy insurance for our family farm (we do not hire full-time employees other than 3 family members). More safety and the option for insurance, or mandated insurance for off-farm or part-time employees, isn't necessarily a bad thing. We just need to be provided the details. I am sorry – I didn't present my comment well enough. I was not indicating that you were "yelling." I should have clarified that. I have been reading a number of threads in a number of media pages, and there is a lot of yelling, but little calm discussion. I agree that the NDP did a very poor job of being transparent on this bill. I am registered to go to one of the town hall meetings this week, and honestly, I am a little afraid to go. I am scared that I won't get in, because there has been so much publicity about crashing the meetings and people forcing their way in. That is not safe, and that is not going to get anyone's point heard well. Everyone wants information, but I am not sure that crashing the meetings is the way to do it. I also fear that there will be so much yelling, that we won't get any details because of the disruptions. That doesn't help anyone. We need people on both sides to discuss this calmly – which is what drew me to your blog post. I grew up on a farm and still own a farm. I have read the contents of Bill 6 and I have seen sites from the NDP government asking for farmers opinions and consultations. I have asked questions on line and been given answers. I do understand the confusion in the beginning because I believe the Wild Rose Party and all owned Post Media articles did their best to discredit the NDP party. I do know also that the PC's were pressured also to implement a Bill but knew it would be undesirable to their rural voters so it was put off till after the election knowing full well if they lost the successful party would take the brunt of the bad publicity. Bottom line – this was inevitable so I see George Clark's effort to topple the current government as a waste of time for rural Albertans. Personally I do not see how this will ruin the family farm as very similar policies in the agricultural industry have been successful and there is direct proof in BC that there was a certainly a decrease in farm incidents, in fact it is obvious due to the fact that it is based on the numbers of accidents previously reported which we all know would be less then the actual number. We do know our farm accidents are higher in Alberta then BC and there are nearly 1000 more farms in BC. I can also list a number of serious farming accidents and deaths that maybe could have been prevented. No one likes change but the truth is farming is big industry now so we need to comply once we are satisfied with the bill. I don't think many would argue with your position on farm safety, Darren, we certainly don't. But as you say in the last sentence — ONCE we are satisfied with the bill, we certainly will comply. Farmers and their commissions need to be consulted, not told what to do. Perhaps it is to a degree assume that the legislation has gone too far; in that case public protest may result better legislation. Having said that, I had two young relatives die as a result of inexperience, rushing, or carelessness…none of which can be totally prevented. This happened prior to the rush to acquire more land, the need for Monsanto and other environmentally unfriendly particpants in the farming industry required in order that maximum production is achieved in order to cover the cost of larger equipment, required because of increasing inputs…and the list goes on! What I am trying to put foreword is the fact that more and bigger are not necessarily better, and as times change so do farming procedures! And practices! Therefore perhaps the result is increased production, enhanced by larger equipment and thus resulting in more risk…the result will be more training, more labor costs and as a result more insurance and accountability. Thus: more is not always better! You cannot have your cake and eat it too! If nothing else my rumblings may entice comment. Thank you! All I can speak for is our farm. To me, more safety especially for our kids is amazing. If there are courses we can go to with our kids or things from the government we can teach them — I'm all for it. But it's almost an insult to have a group of urban NDP politicians (with good intentions, I have no doubt) come and give seemingly very specific safety guidelines for farmers — comparing to other careers who have WCB/OHS standards — and implement them on the farm. My father-in-law, husband and brother-in-law have been working together for >20 years essentially. They know each other, their habits, the way they work and feel safe doing so. However, accidents will always happen and if there is more things we can do on our farm to protect ourselves, we're open to hearing what it is we can do but would sure appreciate to be consulted with vs. told. As far as your "bigger vs. better" point, I'd say that tractors and farm equipment are far more safe now than they ever have been. Your comment here directly represents what this bill should look like. Mandatory insurance coverage just like auto insurance. This could be WCB or other companies that would completely cover the farm lifestyle. OHS exemption lifted with accident investigation and some other traits. However beyond that the AG code should recommendation and guideline based. Used as a educational platform and builders guide of such for improvement to machinery, handling equipment and such. Despite what the minister stated recently her intentions are not what was drafted in the bill. They could fix this and make it workable if they just realize that their plan is taking Alberta from last in AG regulations to beyond any other province. I have followed this debate with great interest. I love your blog and your passion for the family farm. 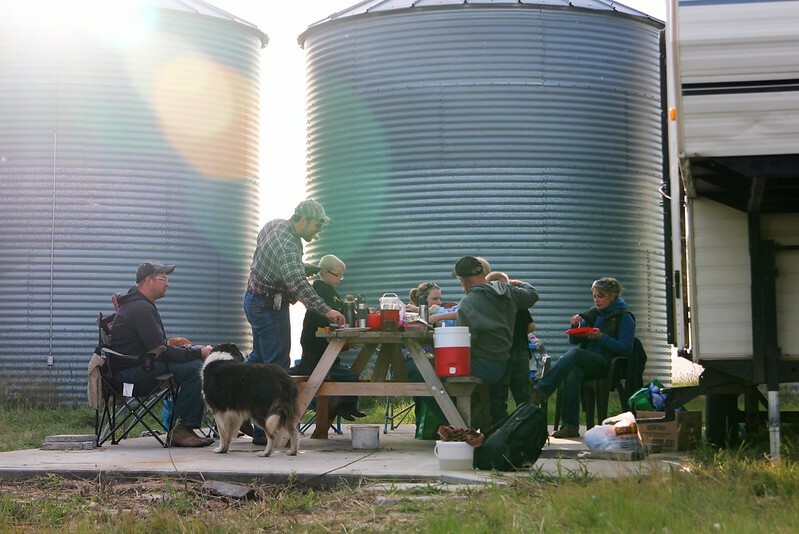 I, too, believe that the family farm is the backbone of Alberta and must be preserved. We are in danger of losing this way of life, which in my opinion would be devastating. That being said, I have also seen things from the other side. At 19 years old, my husband went to help a farmer who he served with on the volunteer fire department. This farmer was a youngish man with a wife and 5 children. My husband freely admits that he should have known better, but he didn't because he was not a farmer and had little to no experience working with farm equipment. His arm got caught in a piece of farm equipment (excuse my ignorance, but I have no knowledge of the various farm machines). After 4 months in the hospital, several bouts of gas gangrene and three amputation surgeries, he ended up with almost no stump, which left him unable to use most prosthetics that were available at the time. Although he was devaststed, he eventually learned to cope with one arm. But it certainly has not been easy. Needless to say, the farmer had no insurance of any kind and no Worker's Compensation plan. The town eventually held a fundraiser to help defray the costs associated with his injury. The farmer in question certainly felt awful, but was in no position to do anything but apologize. Both my husband and the farmer blamed themselves, and indeed it was a series of unfortunate events. But the bottom line was my husband lost his arm. 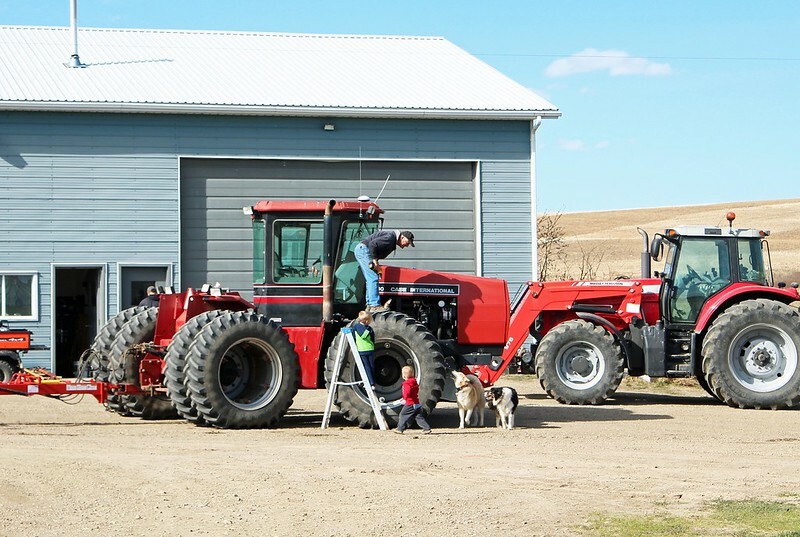 I agree that not allowing family to work on the farm, younger children to work alongside their parents and neighbors to help each other seems ridiculous, but we all know that accidents do happen (even when people are experienced, which my husband certainly was not!). So what do you think might be a better solution to the issue of injuries happening to people volunteering to help out farmers during their busy times? I am interested in hearing your view, as I think you have become an expert in all things farm. Please know that this post is not meant to offend, but merely to spur conversation and thought…as I mentioned, I do think the Bill goes way, way too far. But what happens to people like my husband, who had good intentions and ended up maimed for life? Firstly my sympathies for the accident and tragedy that your husband and family have had to deal with, no one should ever have to deal with that I'm sure everyone involved felt horrified from the accident that happened. Currently if legislation goes through as is, the farmer under WCB still would have to do all the paperwork to insure your husband, a non-farm employee and volunteer working on his farm in order to be covered. *If* that paperwork is not done, even though the farmer would have mandatory WCB on his farm, everyone is still in the same unfortunate situation. The onus is on the farmer to tell everyone who sets foot on his farm that under Alberta law he is required to cover anyone wanting to provide labour on his farm under WCB, so if the farmer refused to do the paperwork and go through OHS protocols/safety meetings and document the same, or the volunteer worker refused or declined to go through the bureaucratic process, the onus would be on the farmer and insurance still wouldn't cover. I do not know how private insurance works with volunteers working on a farm. Believe me, I'm not trying to make light of any farm accident or saying that Bill 6 won't help or matter, I think it will and I think it can, but there's too many uncertainties about the bill and the NDP government is being very secretive about the details of the bill right now. Being a nurse from the city, I'm probably more farm safety minded than a lot of farm moms. I do not want our children operating any equipment until they have their learner's permit at 14 years old, and that generally isn't the norm around here, especially in the generation my husband grew up in, but times are changing. I sincerely hope my reply didn't come of as rude or anything of the like, but in a matter-of-factly way, if farmers and volunteers do not follow through with all the paperwork and bureaucratic processes, nothing will change in terms of insurance and coverage with accidents and deaths on the farm. I could see our own farm declining to have anymore non-farm employees (myself included) so as not to have to do the paperwork and pay into WCB for everyone and just take on more work themselves. Nowhere did I say my husband was an owner, he’s not in fact not is the other employee on our farm, my brother-in-law. Our farm, like most, is family only and no one is forced to do anything. When and if we hire one man to help truck at harvest, he also sets his own hours for the most part. I don’t believe we are the exception to the rule. I speak on our own experience and not that of a large farm/feedlot operation with multiple full or part-time employees. Well let it be known , yes I’m a 3rd gen Farmer and Cattle guy! And have struggled through the 12 years of below average prices! We don’t take a wage at this and neither did my father,,! You only take what you need to survive on, and the rest in reinvested back into the farm to keep it going! Im sure almost all farms now days have good insurance ? If they don’t ,, they should ! Death, dismemberment , and disability coverage,, and the farm insurance that is more workable then WCB. WCB isn’t gonna cover some one that’s on there plan,, so we still need our own insurance anyway! Besides I’m still trying to find where the Yukon, or NWT have such ? To have this imposed on our farm would put us out of business ! Our cattle prices are below last years prices already and dropping weekly! Why isn’t the media all over that,, the meat counters haven’t dropped there’s nor will they ever! Don’t bit the hand that feeds you! We can’t trust her ! I must admit, i do not know how this is handled in the US, either on the federal or state levels. But, it sounds like a tax grab to me, easily applied to even more innocuous situations as neighbors helping to install or fix each other's houses or cars. It's a bad idea. I wonder how this would affect such things as even an Amish barn raising. I know there are issues to consider as abuse of volunteer labor and avoidance of taxes by those going, "off grid", or immersing themselves in an, "in kind", economy. These might be best handled on a case by case basis, maybe triggered by a percentage of the total enterprise's size and earnings. Just a thought. Graeme, That is the #1 reason why Ag needs the exemption removed. Many people don't know how handcuffed OH&S is. 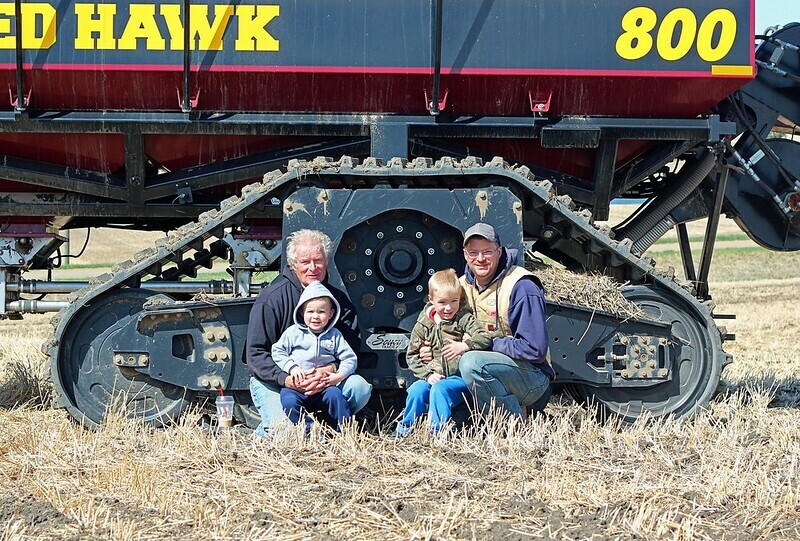 If a farmer hires a contractor to do something on the farm and one of their workers dies on the job, no investigation, no charges, no accountability, no answers for the family about how their son/daughter/parent died and no way to prevent it from happening to someone else. Just because it happened behind the farm gate. We need to change our safety culture from "#%€£ happens" to "#%€£ happened – let's find out why and make sure it never happens again". I don't know the ins & outs of the examples you've provided, Greg, but all that I've read from producer groups and the opposition is that we need to "educate before legislate" and I agree. I think OHS can be a very good thing so that investigations can be done and we can all learn from them, but right now the proposed OHS regulations are too vague. So well written and explained. How I wish more people like you were at the head of this discussion. Facts and questions. I loved the article. Thanks, Debbie. It's why I've been so hesitant to say anything, some of the petitions that are out there I don't fully support the message they are promoting, and there's too much fear circulating about everything it's hard to get any facts straight. Thoughtful as always Sarah. On thing I would like to point out is allowing OH and S to investigate incidents leads to reports that are ,in my previous experience, incredibly valuable as training tools. Thanks, Graeme. There was no way I could cover all of the potential what if's of this bill, but I think having OHS involved in following up on farm accidents and deaths so we can all learn from that is a wonderful thing that we could all benefit from, I support that 100%, it's all the other what ifs if OHS being involved that are worrisome. Graeme, review of incidents (from near misses to tragic) is an excellent educational tool. However rather than OH&S being the investigators over a demographic that doesn't fit their format for 'industry', (due to the uniqueness of the agricultural industry) perhaps the forming of an investigative committee run by farmers for farmers would be a better option. Who better to understand an incident and make recommendations than the people who are passionate about an industry and who live it every day? Very good idea and with people like Nurse Sarah who are thoughtful of others looking after or chairing such a committee. . Right on. Some one who knows what is going on. This bill is just a combination of punishment for rural people for voting Wild Rose & the lefts leaning toward Agenda 21. Check our "Agenda 21; Grinding America down" It is here in Canada too.